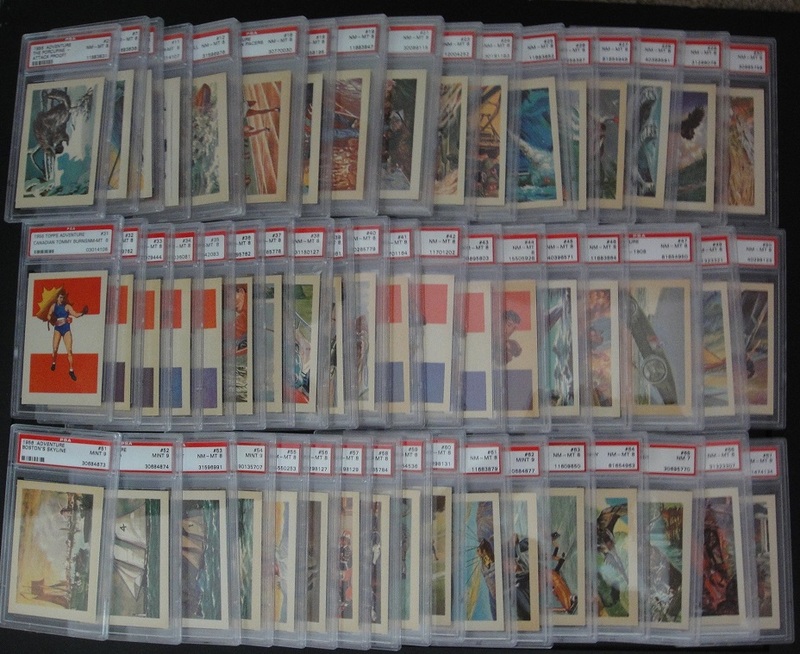 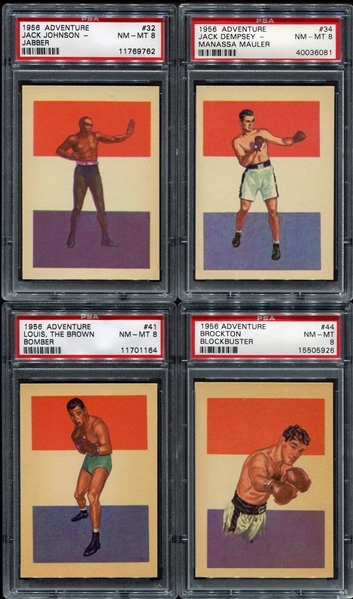 Offered is a complete set of the assorted sports set from 1956 Adventure Gum of 100 cards. Nearly all of them are PSA 8's and 9's, only a few lesser, which were recently graded without qualifiers and PSA was very tough on the net grades. The key to the set #86 Max Schmeling The Black Uhlan of The Rhine in a very nice PSA 7. 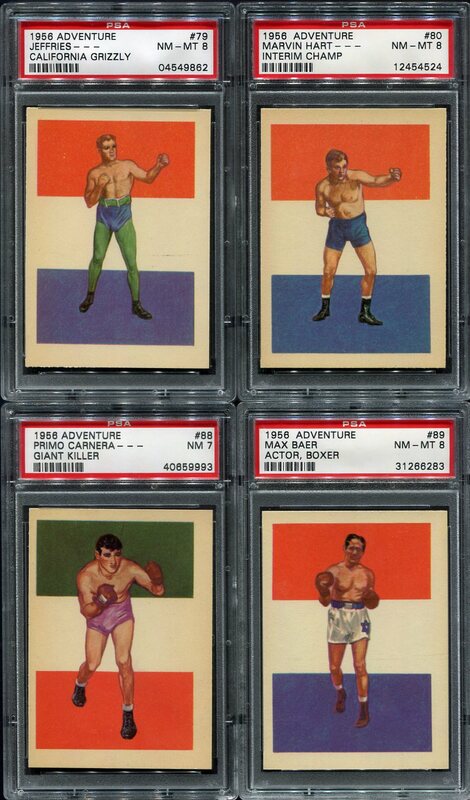 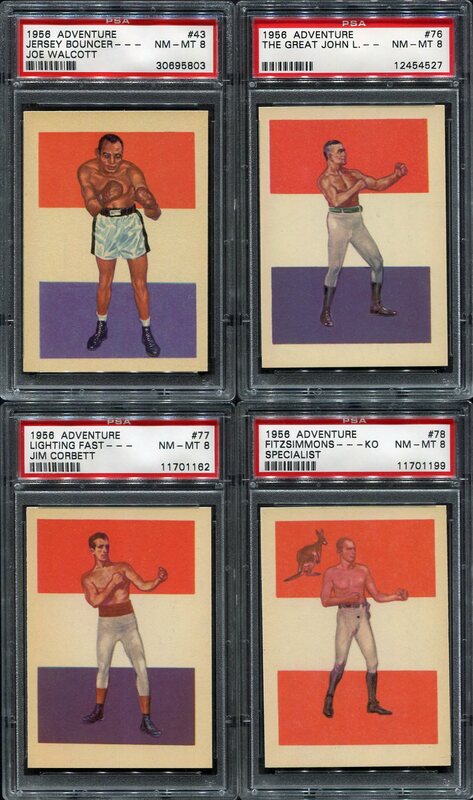 Nearly all of the rest of the very sought after Boxers are PSA 8's. 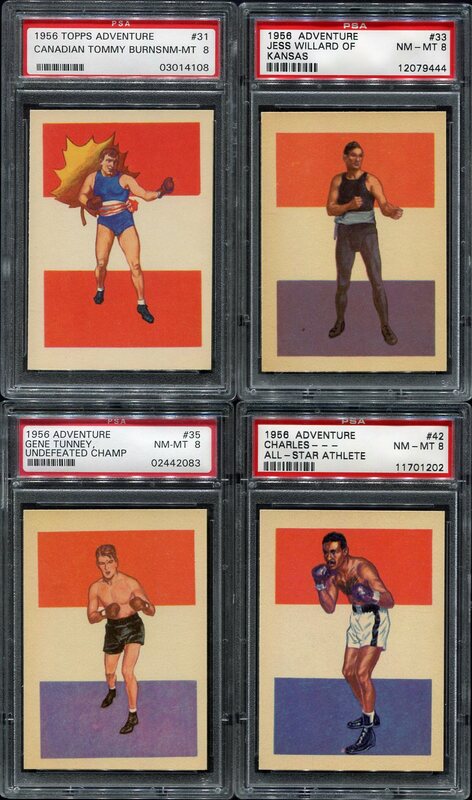 In addition to the Boxers there are many other cards of famous athlete's that bring well over book when offered. 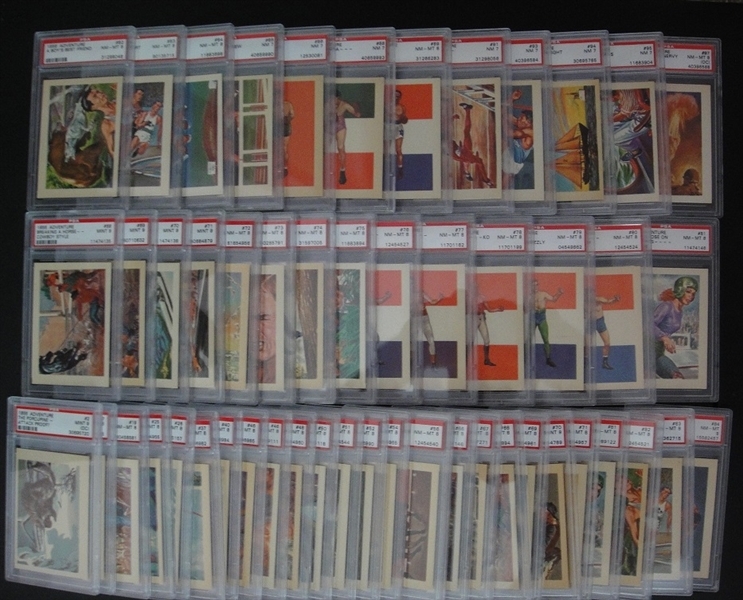 PSA 9 #51,52,54,62,68,69,70,71 & 73. 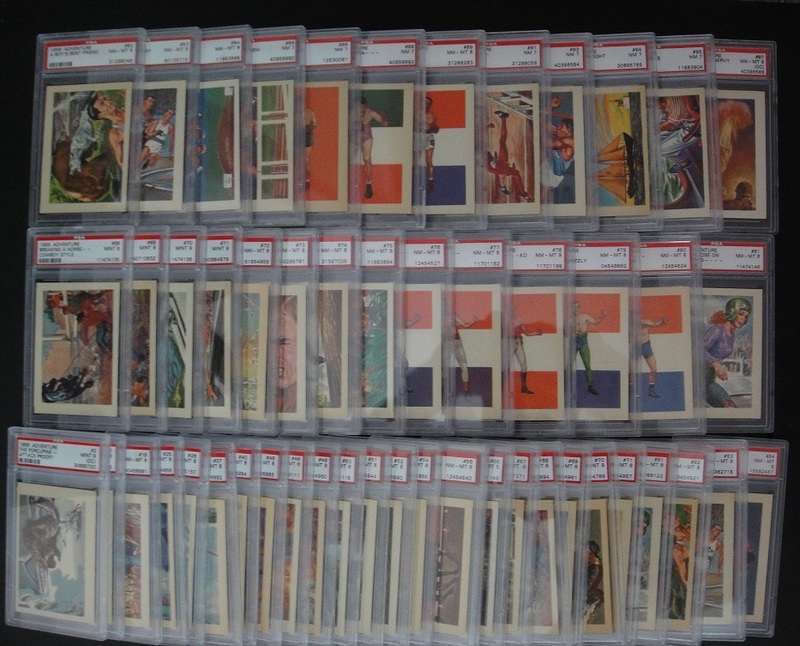 PSA 8 #2,7,11,12,13,15,16,17,18,19,20,21,22,23,24,25,26,27,28,29,30,31,32,33,34,35,36,37,38,39,40,41,42,43,44,45,46,47,48,49,50,53,55, 56,57,58,59,60,61,63,64,66,67,72,74,75,76,77,78,79,80,81,82,83,84 & 89. 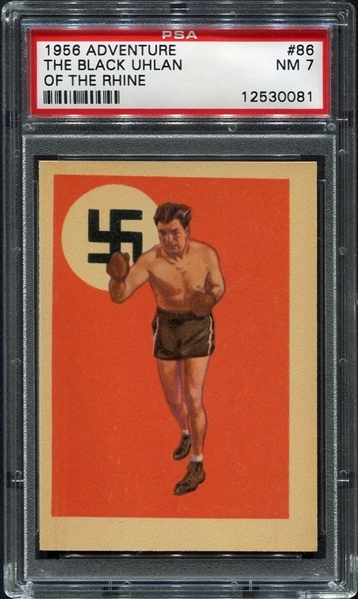 PSA 8MC #99. 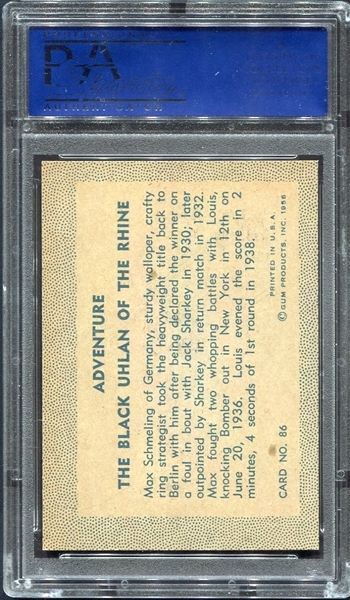 PSA 8OC #97. PSA 7 #65,85,86,88,91,93,94 & 95. 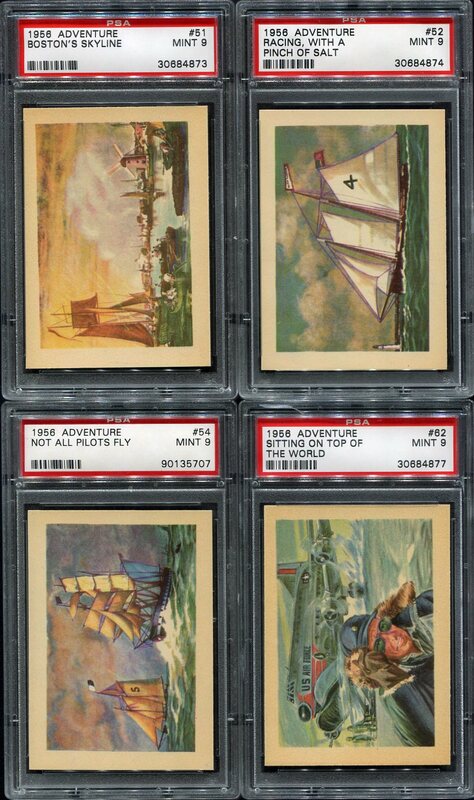 PSA 6 #9, 87,90,92 & 98. 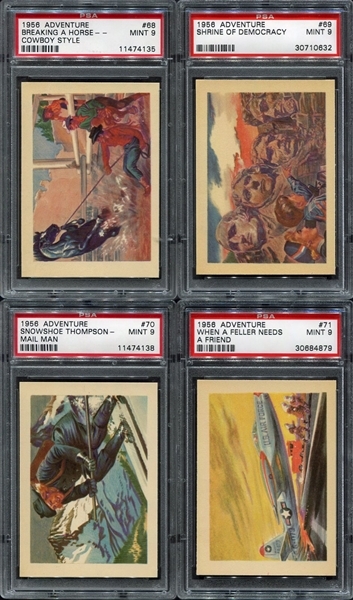 PSA 5 #4,6,8 & 96. PSA 3 #1,10,14 & 100. 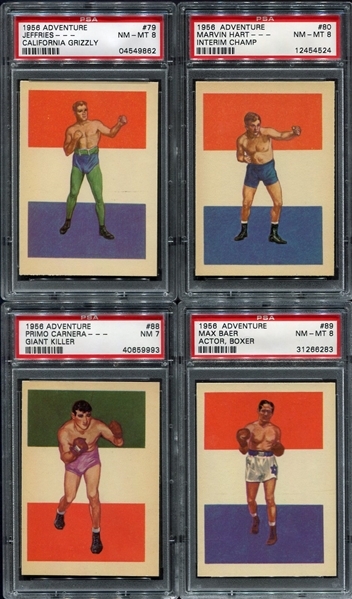 Again all of these cards appear the same, no creasing or corner wear, just the centering varies, which PSA weighed heavily on. SMR is over $4,000 with well over $700 in grading fees if one had to send them in, even at the bulk rate. 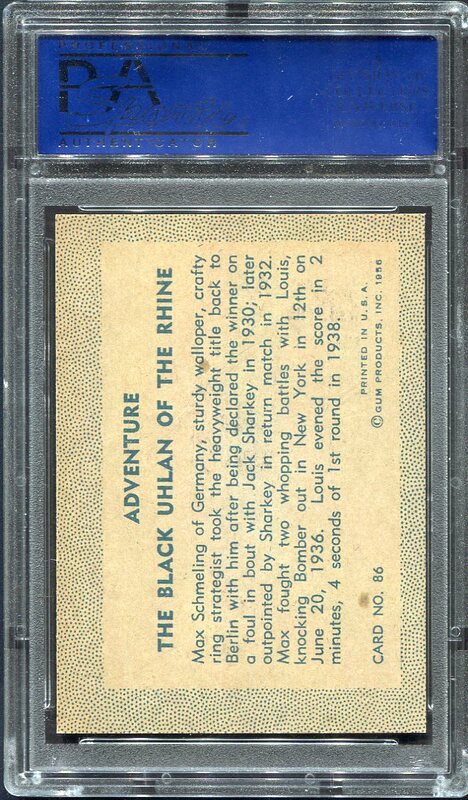 A fantastic start to a nice Registry set, which as it sits, is nearly in the top ten with a GPA of 7.5. If the few lower grade cards were upgraded, one would break into the top 10 on the PSA Registry quite easily.